Have you seen Nicholas speak? Leave a review. One of the most highly regarded technological visionaries of the past 40 years, Nicholas Negroponte is the founder of MIT Media Lab. Negroponte pioneered projects in sensory computing, interfacing, digital street mapping, and many other technologies that are ubiquitous today. Negroponte is the founder of the non-profit initiative One Laptop Per Child, which has provided durable low-cost computers to 2 million children in developing countries. Negroponte was the first investor of the magazine Wired and has been an angel investor for more than 40 companies. MIT Media Lab Founder, Nicholas Negroponte is one of the world’s credible authorities on what the future holds. Since the 1970s, he has been researching, developing, and speaking on disruptive technologies, many of which became mainstream tools decades after he spoke on them. Negroponte is the Founder of the One Laptop Per Child Foundation, which has provided laptops to an estimated 2 million children in developing nations around the world. The long-term goal of the project is to bring the world out of poverty by leveraging children’s ability to “learn learning.” For the program, Negroponte and his team specifically designed computers that were cheaper, more durable, and energy efficient. Many of those columns served as the basis of his best-selling book, Being Digital, which predicted the merging of interactive technology, entertainment, and information. 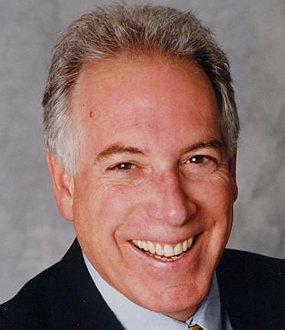 Negroponte has been an angel investor for more than 40 startups including Skype and Zagats. He has delivered 15 TED Talks, including a speech at the first TED event in 1984. Nicholas Negroponte is a world-renowned technology visionary with the keenest understanding of technology and its impact on business and society. 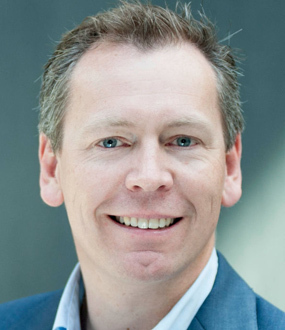 An exceptional speaker, his broad range of experience and thorough understanding of digitization and its impact on industry make him the foremost authority on transformations that define our future. Negroponte is a new media pioneer and the driving force behind One Laptop per Child (OLPC), a non-profit that seeks to provide children around the world with new opportunities to explore, experiment and express themselves via computers. After earning two professional degrees in architecture from Massachusetts Institute of Technology (MIT), Negroponte joined its faculty in 1966. 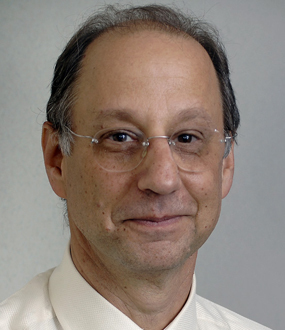 Based on his extensive research in computer graphics, computer-aided design and human-computer interface, he founded MIT’s Architecture Machine Group, a combination lab and think tank, which studied new approaches to human-computer interaction. He later also founded MIT’s legendary Media Lab (1985), one of the world’s leading interdisciplinary research centers that applies an unorthodox research approach to envision the impact of emerging technologies on everyday life. Negroponte continued to demonstrate his big-picture thinking by becoming the first investor for WIRED magazine, for which he also contributed a monthly article. Combining and expanding upon those ideas, he wrote the best-selling book Being Digital (Vintage Books, 1996), which solidified his status as an expert on how the worlds of interaction, entertainment and information would eventually merge. Being Digital has since been translated into 40 languages. He was the first speaker at TED and spoke over 10 times thereafter. But, perhaps, his most notable and controversial achievement is his current non-profit program OLPC, a project to bring durable, affordable and innovative computers to children worldwide. Believing that a nation’s most precious resource is its children, Negroponte aimed to put low-cost, robust, connected laptop technology into the hands that need it most – the nearly two billion children in developing countries. This revolutionary way to promote learning started with Negroponte building five schools in rural Cambodian villages that do not have electricity, telephone or television – but now have broadband wireless. In 2005, Negroponte unveiled a $100 laptop computer designed for children ages 6–12 years old in developing nations. As of March 2011, the OLPC program produced XO laptops for roughly two million children around the world in 25 languages and 40 nations, including Haiti, Afghanistan, Mongolia, Rwanda, Ethiopia and Palestine. In addition to his academic and philanthropic contributions, Negroponte also served the private sector on the board of directors for Motorola, Inc. (1995-2009) and as general partner in a venture capital firm specializing in digital technologies for information and entertainment. He has also provided start-up funds for more than 40 companies including Zagats, Ambient Devices, Skype and Velti. MIT Media Lab founder and technology keynote speaker, Nicholas Negroponte takes you on a fast-paced tour through his 40-year career developing digital technologies and offers a glimpse of the disruptions we may see in the decades to come. He shares clips documenting his projects in touchscreen and web interface in the 1970s, pointing out that the experts dominating the field did not accept his teams' projects as "serious computer science". "Papers were published about how stupid it was to use fingers," he says. Citing the major reasons scientists used to bolster this argument, he saves his favorite for last: "'You would get the screen dirty.'" Negroponte recalls how the President of MIT at the time, Jerry Wiesner, saw potential in the work his team was doing and eventually aided Negroponte in creating the MIT Media Lab. "Anybody who wants to start something in life, make sure your president is part of it," he advises, explaining that Wiesner's diehard support helped the Lab jump through several hoops in its early days. "It was like having a gorilla in the front seat," he recalls. "If you were stopped for speeding and the officer saw who was in the passenger seat, he'd say, 'Oh, continue on, sir.'" Founder of the MIT Media Lab, technology keynote speaker Nicholas Negroponte has been accurately predicting major technological disruptions for decades. Drawing from 40 years of pioneering systems and devices with some of the world’s most brilliant engineers, Negroponte shares his broad knowledge of what is possible, what is likely, and how these emerging technologies will affect our lives. 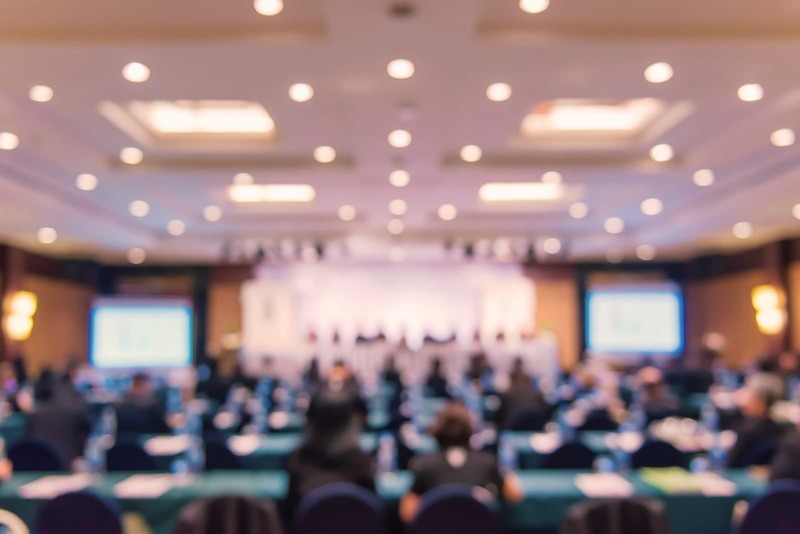 A 15-time TED Talk speaker, Negroponte also explores the valuable opportunities we have to solve world problems like poverty through harnessing technology as a means of connection, discovery and innovation. Nicholas Negroponte’s 1995 book Being Digital gave a glimpse into the world we now occupy – complete with wireless, touch screens, ebooks and personalized news. In the 20 years since, digital has shifted from revolution to civilization. We now live, work and play in a digital age (to the extent our culture, infrastructure and economy allow, in that order). And like air and drinking water, being digital will only be noticed in its absence, not its presence, he explains. As we move beyond digital, Negroponte gives us another glimpse of the surprising changes and possibilities that lie ahead. He explores several forces of change that he predicts will – and some that already do – affect the planet profoundly, including extreme bionics, real artificial intelligence and connectivity as a human right. In the developing world, we are sharing the wrong message about entrepreneurship and what constitutes success. A 12-year-old from Sierra Leone made a battery out of garbage, an achievement celebrated by many. But the accomplishment wasn’t the battery; it was the style of thought that led him there. When we become focused on the outcome and attach our work to it, we find ourselves resistant to trying new things and putting forth our best, innovative efforts. Nicholas Negroponte, drawing insight and inspiration from personal experiences throughout the globe, delves into why this is and how we should instead attach worth to effort – making the innovation process itself exciting and rewarding regardless of outcome. Global access to the “digital world” – by children and poorer nations – carries unprecedented potential to bridge education divides, transform learning and improve skills for the globalized economy. Nicholas Negroponte believes the results will drive local value and identity, spur global understanding, and ultimately, create a more peaceful planet. 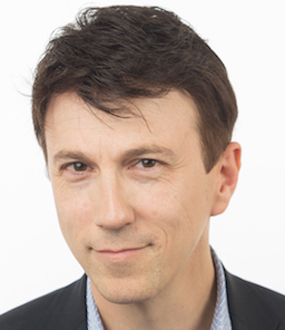 He discusses the impetus behind his pioneering One Laptop per Child program and his more recent reading experiment in Africa as examples of how technology is transforming education while helping break down national borders. What if we have learning all wrong? The industrialization of schooling, says Nicholas Negroponte, has replaced our natural wonder of learning with an obsessive focus on facts. We treat knowing as a surrogate for learning even though experience tells us it is quite possible to know about something while utterly failing to understand it. Compounding this, he says, is our fatally flawed belief that anything can be taught and there is a perfect way to teach everything. The lesson doesn’t just apply to children or to developing countries either. In a provocative discussion, Negroponte ponders how our world would be a better place if we focused less on measuring what we tell people and more on understanding how they discover. The history of innovation is testimony to questioning assumptions and given truths about our world. 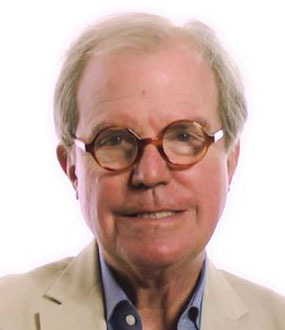 Particularly in technology, Nicholas Negroponte provokes questions today about how students are better taught through technology (not the way you probably think) or by questioning if prevailing condemnation, ranging from genetically modified foods to nuclear power, is based on wisdom or short-term considerations. Consider that at the times when Negroponte was advocating the creation of MIT’s Media Lab, underwriting Wired magazine, authoring Being Digital, a New York Times #1 bestseller, starting the initiative to give poverty-stricken and education-deprived children computers, the worldwide consensus was, on each occasion, opposed to these innovations. When did an innovation ever come from consensus? Negroponte’s text is mostly a history of media technology rather than a set of predictions for future technologies. In the beginning, he describes the evolution of CD-ROMs, multimedia, hypermedia, HDTV (high-definition television), and more. The section on interfaces is informative, offering an up-to-date history on visual interfaces, graphics, virtual reality (VR), holograms, teleconferencing hardware, the mouse and touch-sensitive interfaces, and speech recognition. 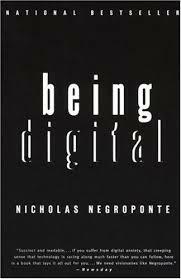 In the last chapter and the epilogue, Negroponte offers visionary insight on what “being digital” means for our future. Negroponte praises computers for their educational value but recognizes certain dangers of technological advances, such as increased software and data piracy and huge shifts in our job market that will require workers to transfer their skills to the digital medium. Overall, Being Digital provides an informative history of the rise of technology and some interesting predictions for its future.